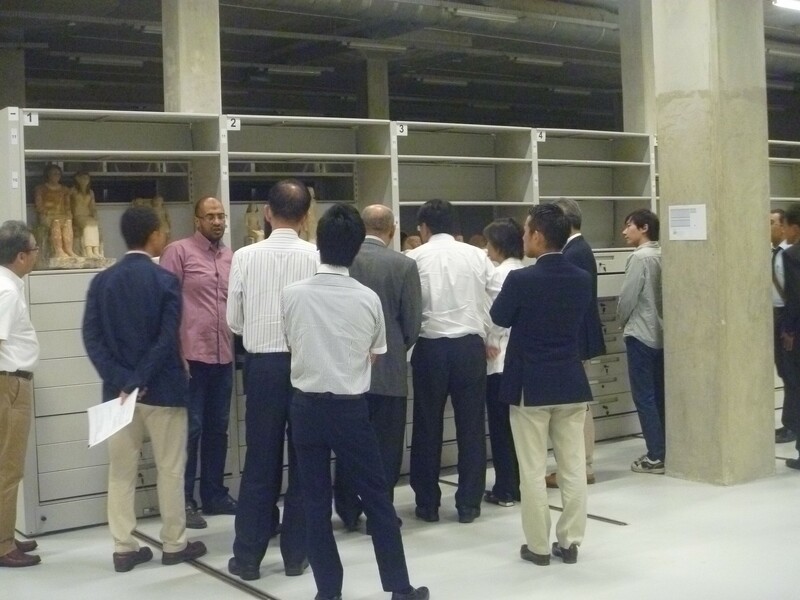 On September 6th 2015, about 32 members of the Japanese Commerce and Industry Association have visited the GEM-CC. 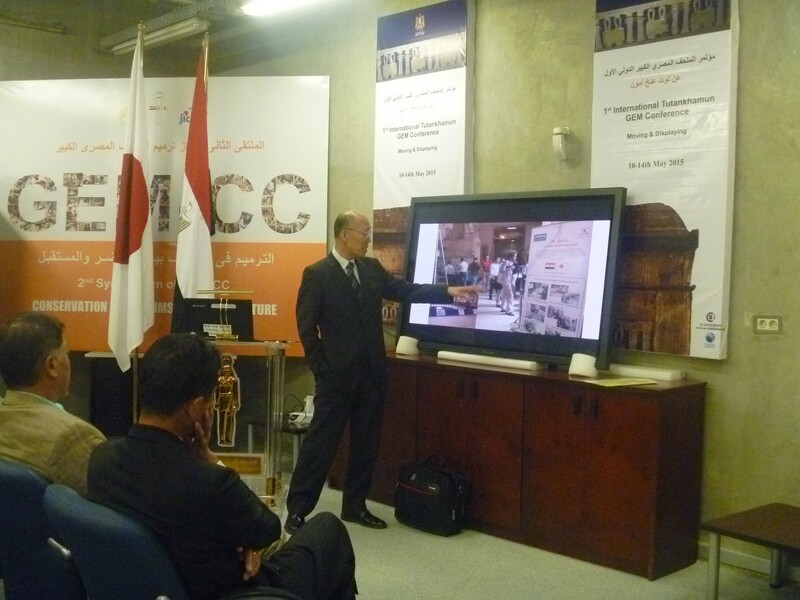 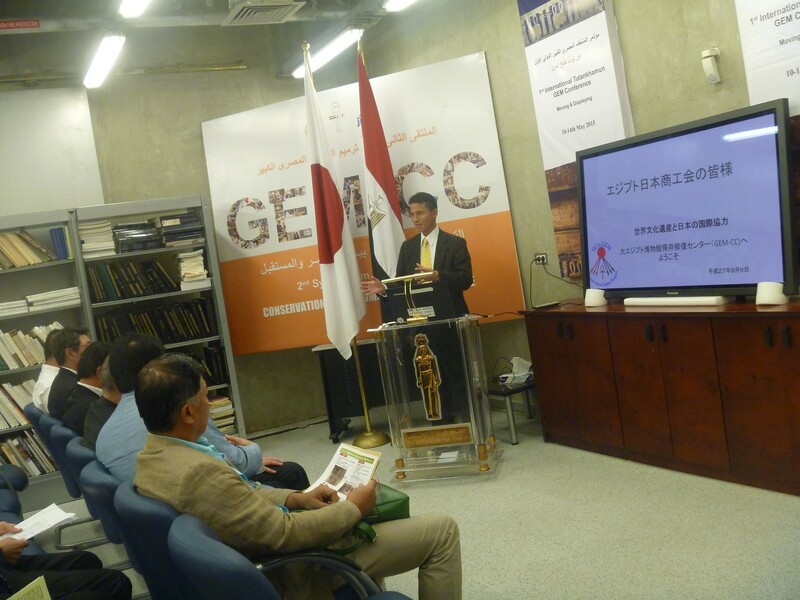 In the beginning of the visit, Mr. Ohba from the Embassy of Japan in Egypt has made an opening speech about the cooperation between JICA and the GEM/GEM-CC project. 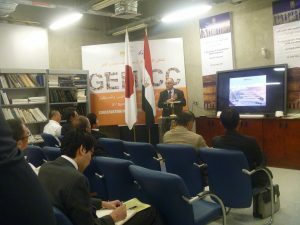 After Mr. Ohba’s speech, General Director of the GEM Dr. Tarek Tawfik has made a presentation about the future plans for the GEM project. JICA GEM-CC project office Chief Advisor Mr. Nakamura Mikio has also made a presentation about the cooperation between JICA and the GEM-CC project, and also about the past phases of the project. 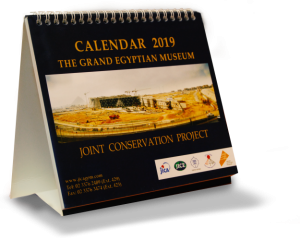 The members of Commerce and Industry Association then started taking a tour around the GEM-CC, visiting various conservation laboratories, and receiving explanation about the processes of conserving various kinds of artifacts, after which they visited the GEM-CC store rooms. 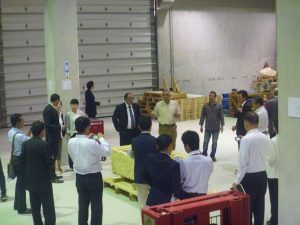 After ending their tour around the laboratories and store rooms, the members of Commerce and Industry Association then went to visit the GEM construction site.